It’s 2018, and some people out there are still tuning in to watch Celebrity Big Brother. 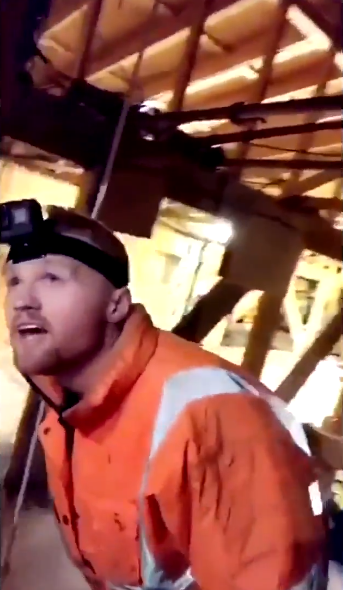 In fact, YouTubers Ally Law and Ryan Taylor are such big fans that they went to the effort of infiltrating the BB compound, just to sneak a look at the Z-listers within. 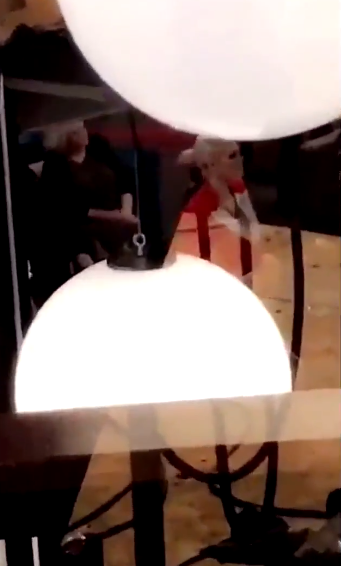 The pair, who are well known for their online stunts in which they sneak into various buildings, managed to film celebrities through the glass doors and shared the footage on Snapchat. Once inside, they filmed Jonny Mitchell, Ginuwine and Ashley James from outside, apparently without any of the crew knowing they were there. 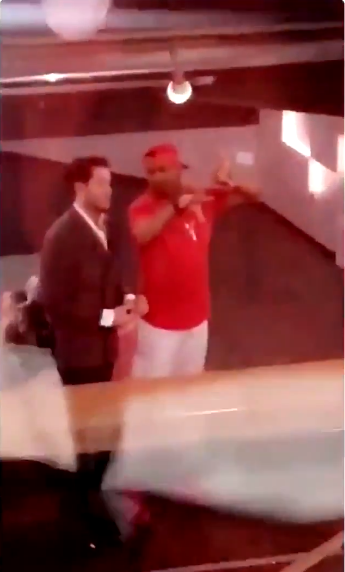 At one point in the clip, Ryan seems to be filming through a hole at the top of the stairs, through which we can see Jonny, Dapper Laughs and John Barnes talking in a circle with their backs to the camera. The security breach represents the biggest in Big Brother‘s 18-year history. Ally appeared in Ryan’s footage wearing an orange hi-vis jacket, presumably to make him look like an on-set worker so that he could blend in. On Twitter, some fans claimed the pair were caught and threatened with arrest, but they retweeted fans who said they were ‘eating cookies from Tesco’. Ally posted: “Tonight was a madness!! There will be no video but I promise it will make sense soon, stay tuned”. The YouTubers have over half-a-million followers each, with previous stunts including breaking into the O2 arena after hours, riding a BMX bike off a diving board at the Olympic pool and, perhaps less exciting, sleeping overnight in a branch of Toys ‘R’ Us.